Our software provides the intuitive clarity you need to maintain your buildings, estates and assets, including if required, underground assets and buried services. 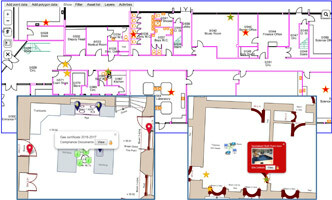 Maps, site and floor plans, 360° photospheres and dashboard analytics provide you with unique insights and simplicity of use. Are you facing the pressure of multiple priorities coming from different directions at the same time? Have you ever felt like the unsung back office hero? Is your work and that of your site colleagues under recognized? Gain better insight into your work. Benefit from improved engagement with your buildings’ users and staff. Improve collaboration and communication with contractors and stakeholders such as senior managers, directors and governors. Save time and money through efficiency gains. We help facilities managers, SBMs and bursars take care of building compliance, asset and maintenance tasks. If you’re an asset owner or contractor, responsible for constructing and maintaining underground assets and buried services, we can help you too. If you're a service provider or supplier you can use our software to differentiate your offering, add value and protect or increase your margins. Check out our partner page to see the flexible options available. Discover how AltoSites helps you manage buildings, estates and assets or how AltoSUE, our underground asset management system, helps you manage underground assets and buried services. You've invested in having survey, site or floor plans produced and now you can use them to support your operational processes. Plans become a highly visual background upon which you manage your data. 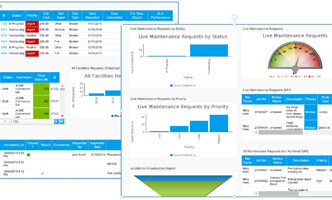 Day to day operations become easier and you quickly benefit from intuitive insights. Manage your data such as assets or maintenance and facilities requests on site or floor plans and in 360 degree photospheres. Understanding information suddenly becomes much easier. Share the data with site teams and contractors improving the information they have before site visits saving you time and money. We're visual beings - see the difference it can make. Dashboards and reports complement the uses of plans and photospheres. These provide insights into your data and make sharing of information with your colleagues easy to do and easy for them to understand. Dashboards and reports can be customised so you get what you need.